This Angling Club is open for everyone to join. We have very exciting plans for the future which we believe will help transform the lough into one of the top fishing destinations in the country. 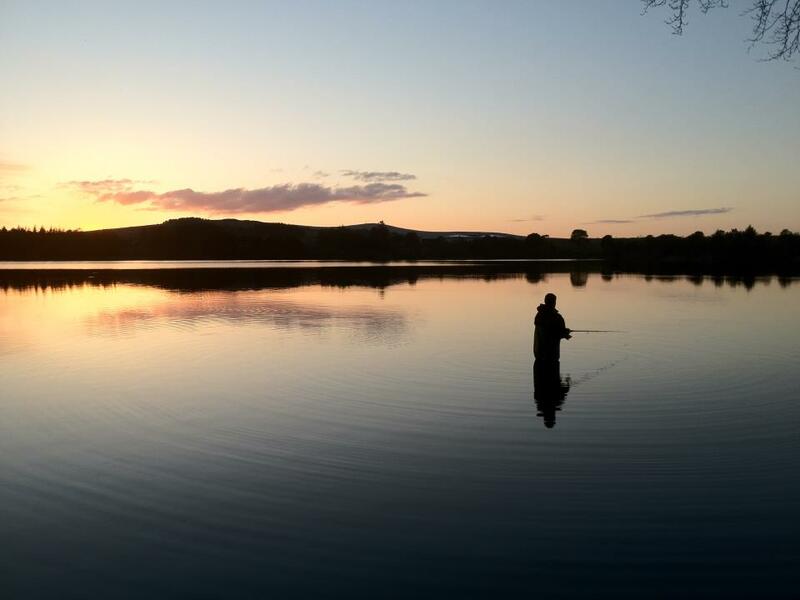 The 53 acre lough is home to Wild Brown Trout, Eels, Pike, Perch and stocked Triploid Rainbow Trout. We have three fishing jetties on the lough for anglers ad all legal methods are permitted from the shore. Flyfishing only is available from boats and all boat users must be over 18 and wear life jackets. No exceptions! We have six 19 foot Sheelin boats and three 17 foot Morris boats. Oars and electric motors only permitted due to our Lough being a public water source. We plan to run coaching sessions and have 5 Level 1 Angling Coaches who are a welcome addition to our club. Anyone wishing to put thier own boat on will have to comply with very strict rules set down by NI Water Service and should contact the Secretary on lamdaasecretary@gmail.com for further info. All anglers must be advised that it is now illegal to fish the lough without a permit, and a rod licence. We have three warranted bailiffs and the Loughs Agency now patrol the site to ensure that the marine life are protected, and that no illegal fishing is taking place. Rod licences and permits can be purchased in Ward’s shop in Loughmacrory village. The fishing season runs from the 1st of March to 20th of october, and a bag limit of 2 rainbow trout exceeding 9 inches must be adhered to. All other species of fish must be released as gently as possible. Adults only can hire boats. Children strictly accompanied by adult. All boat users must wear life jackets, no exceptions. Angler must provide own lifejackets. Strictly no more than three anglers per boat. LAMDAA have the right to refuse hire of boats. Anglers hire boats at there own risk. LAMDAA will not be held responsible for any accidents or damage to anglers own personal equipment etc. Anglers are requested to use boats in a responsible and safe manner and give care and attention to other boat and shore anglers.